Feeding pet rats is not difficult, but there are some important items to include when doing so. Specially formulated rat diets should always make up the bulk of your pet rat's meals, but you should also offer different fresh foods. There are some homemade diets you can make that are recommended by rat experts as an alternative to prepackaged foods, but you must stick to these recipes very closely and make sure your rats get a variety of fresh supplements. A diet without supplements can end up being nutritionally imbalanced and cause problems for your rats (however some lower quality formulated rat diets are also lacking in nutrition). For most owners, a combination of a good rat block and some fresh treats as supplements is the easiest and best way to provide a balanced diet. 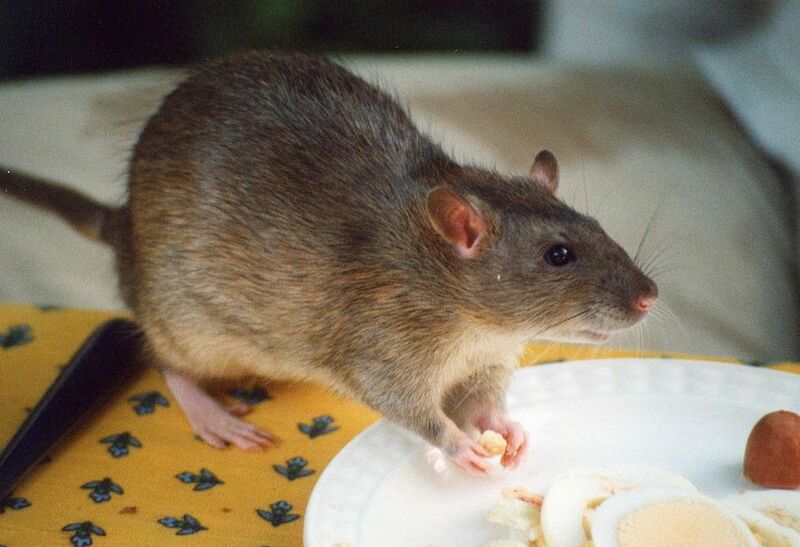 While you are shopping for food for your pet rat, look for a diet that has been made specifically for rats. This will usually be a pellet or block (essentially a large pellet) type diet since they have historically been considered the best rat diets (although there are some concerns with pellets). Loose seed mixes can be very well balanced diets but only if your rat eats everything in the mix (and many don't). Alternatively, if you feed a block or pelleted food, a rat won't be able to pick and choose which parts they do and not want to eat. These rat blocks can be left available to your rat at all times. A commonly recommended pellet diet is Oxbow Regal Rat food, but a rat and mouse diet that meets the same general requirements (e.g., low calorie, low fat) is a good compromise if you cannot find a good rat specific diet. However, stay away from hamster, gerbil, and other rodent diets as they are not a good substitute. The nutritional requirements in these foods are different, and they usually contain alfalfa which is not very digestible in rats. Sweet, sugary treats and any other human "junk food"